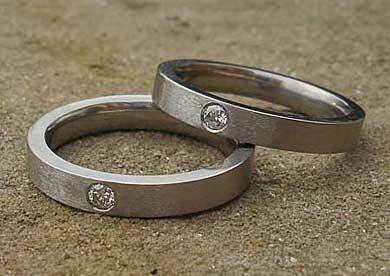 Narrow Titanium Diamond Engagement Ring : LOVE2HAVE in the UK! A narrow width titanium diamond engagement ring set with a single 0.05pt white diamond that sparkles. 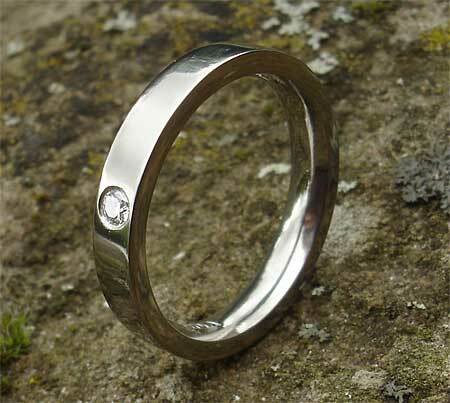 The ring comes in a flat profile and is available in both satin and polished finishes. 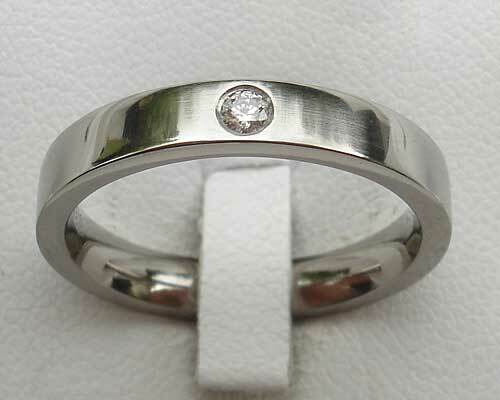 It has modern plain styling for a beautifully understated symbol of love and betrothal. This engagement ring is a design classic that is made of titanium and therefore offers superb value for money for customers on tight budgets who do not want to compromise on quality. 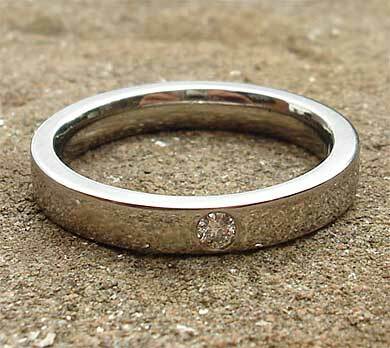 As you can see from the pictures, it makes a beautiful engagement ring set too when featured together as a matching plain wedding band is also available.